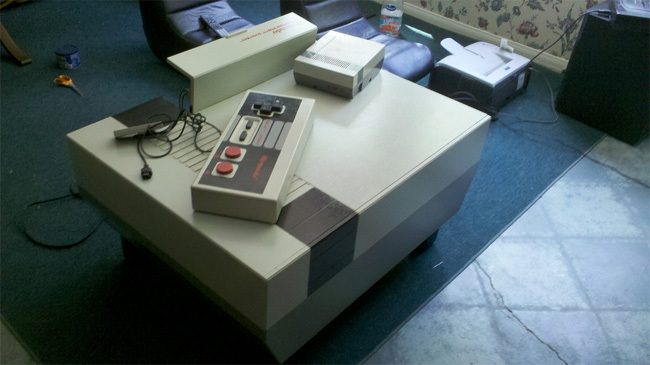 If your a fan of the retro Nintendo consoles, your going to love this coffee table created by Matt. 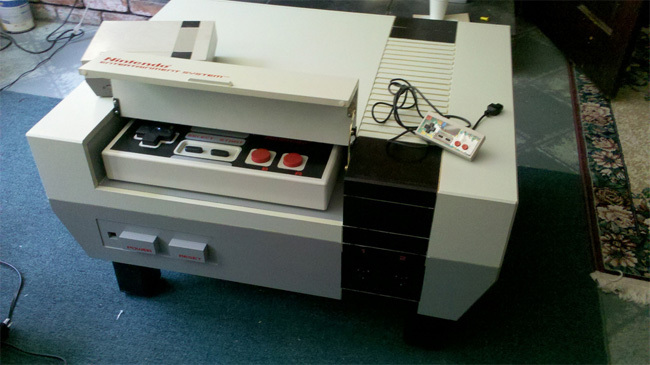 The table looks absolutely massive compared to a real console that is on top of the table in the picture below, in the top corner. Mat has even added lift up holders for the super sized controllers that are fully functional. The controller ports are actually power ports for Mat to be able to plug and juice up his laptop.